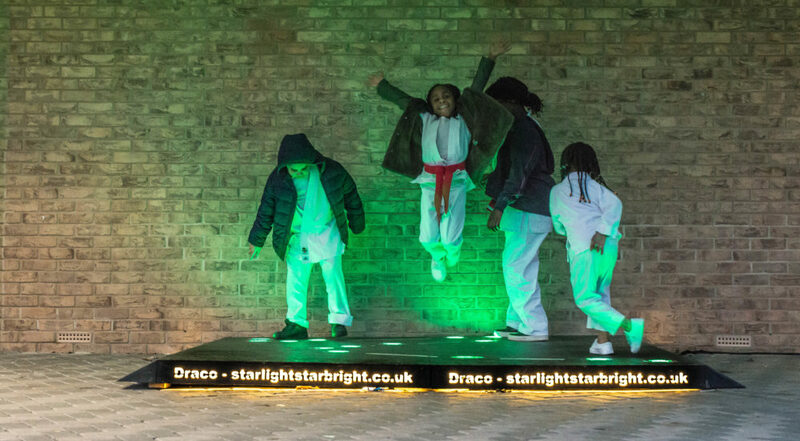 Architectural choreographer Laura Kreifman of Hellion Trace won the The Smart Oxford Playable City Commission with her installation ‘Star Light, Star Bright’. 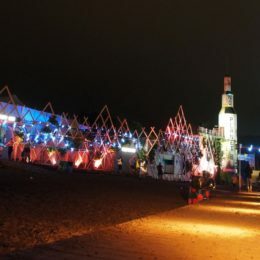 We’ve been lucky enough to work with Laura before, creating digital interactive installations at Glastonbury. But when she asked us for help lighting ‘Star Light’, our faces absolutely lit up. Laura needed lighting and digital electronics for seven ‘constellations’ throughout Oxford. She needed a way for members of the public to control their lights. And to gather data created by their interaction with the constellations. Since the project was going to be outside in January, everything would also need to be completely waterproof. Each constellation consisted of a plinth housing ‘star’ lights which passersby could stand on to interact with. The obvious choice for outside floor lighting is inground lights. They’re waterproof and designed to be walked on. But we couldn’t find any that had a brilliant white light as well as other colours, so we created a custom fixture. We had an RGB ‘angel eye’ light ring manufactured to our specifications. We then merged this with an inground fixture by installing the ‘angel eye’ light ring between the reflector and the glass. That gave us a waterproof RGBW fixture with complete dimming control. And to make the constellations stand out, we joined the ‘stars’ together with 12V WS2811 LED pixel tape. We waterproofed this pixel tape with clear heat shrink tubing, glue lined at the ends. For the electronics, a Raspberry Pi controlled each constellation. And Laura developed sensors to detect when someone stepped on a star. But we used our own designed ‘5V Shifter PiHat’ PCB’s to interface with the sensors. That way, the wiring didn’t need to connect directly to the Pi, making manufacture and troubleshooting much easier. To process the sensor data, we used our custom Pi framework ‘GPIOMOFO’, which we developed with our coder Barri. This then controlled the stars through 24 channel LED drivers. We also equipped each constellation with a 3G dongle – these allowed us to collect data on interactions and usage. ‘Star Light, Star Bright’ has now launched in Oxford to a wonderful warm reception. We’re proud to think we helped bring Hellion Trace’s interactive installation to life. Throughout their residence in Oxford, we’ve worked closely with them to make sure Star Light stays working as it should. 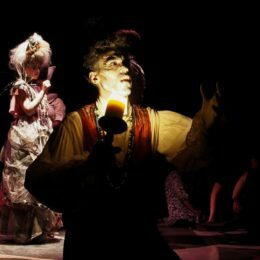 It was a fascinating, creative project. And we always love custom building new products to fit a really specialised brief. 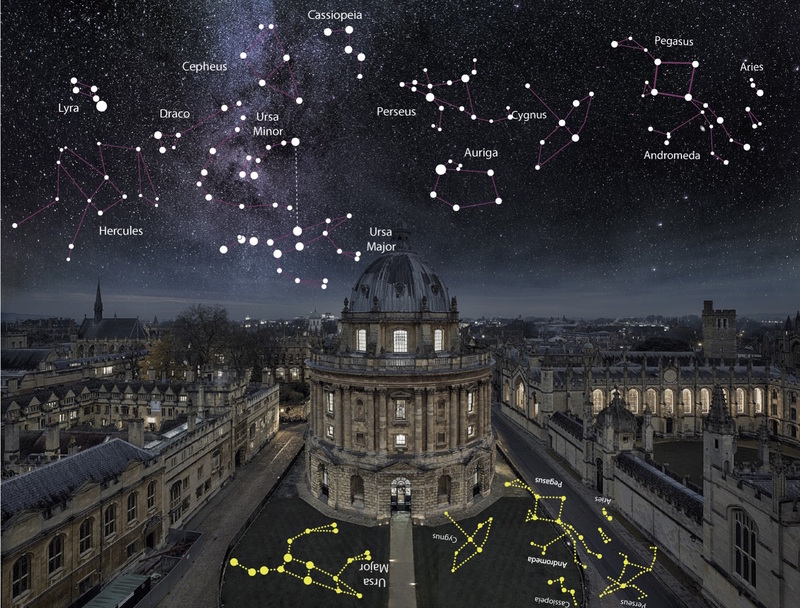 The constellations above Oxford, as highlighted by the installations. Bailes and Light always supply a brilliant, dedicated team with great expertise and experience that they can adapt to any new project. For help lighting up the night with your next installation or event, get in touch.